We have recently added updates to this page to include a few interesting updates. We hope that they should help you in your journey to find the best one for your requirements. Have you struggled to find a good quality travel system for your infant that won’t break the bank? Or have you spent a large sum of money on a travel system that promises the world only to find that assembling and using it is nothing short of a nightmare? I was in that very same position when I discovered the Graco Fastaction Fold Click Connect Travel System. It is the travel system solution you need. If you’re looking for an affordable travel system that prioritises your infant’s comfort, then this is the product for you. 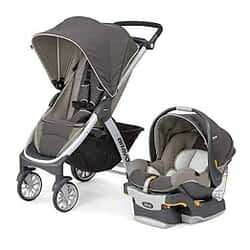 The Graco Fastaction Fold Click Connect Travel System includes the Graco Snug Ride Click Connect 30 infant car seat with stay-in-car base, and an infant stroller, with one-second fold, which provides the ultimate convenience for moms on the go. Its ultralight weight makes it easy to assemble and fold, making it every mother’s dream. Additionally, it has an extra-large storage bin. 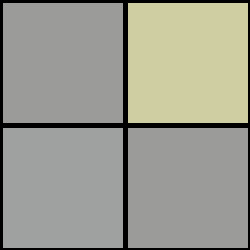 The canopy does not extend out fully, so it does not provide full coverage. However, this is a small issue that can be worked around quite easily. A one-second, one-hand feature that ensures that you always have one hand free to comfort your child. For those of you who are tired of travel systems that are difficult to assemble and fold away, you’ll be happy to hear about the Graco Fastaction Fold Click Connect Travel System’s one-second, one-hand feature. This feature ensures that even if you’re holding your baby and only have one hand free, you’ll still be able to easily and quickly assemble or fold the travel system. The Graco Fastaction Fold Click Connect Stroller weighs in at just 22lbs, making it one of the lightest and user-friendly strollers on the market. Its ultralight weight means it can be easily carried and controlled, even with one hand. With the Graco Fastaction Fold Click Connect Travel System, you can expect a product that delivers on its promises. This product has received 242 reviews on Amazon, with an average rating of 4.3 out of 5 stars. Customers praise the product’s excellent quality and usability, ranking it as one of the easiest, mom-friendly products on the market. Additionally, it proves to be sturdy and durable, while still prioritising the safety and comfort of your infant. The car seat does not unlatch from the base with huge ease. However, this is a small price to pay for a product that has proven to be durable, comfortable, easy to use and structurally sound. Why not also read our detailed guide on The Best Travel Systems. This product is also eligible for Amazon’s 30-day returns and FREE shipping. Additionally, you have the option to have it delivered already gift-wrapped. 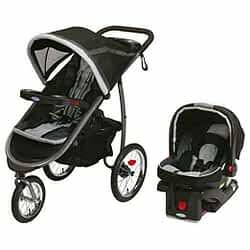 This is a great and affordable product that will satisfy all your infant’s travel needs. I fully recommend investing in the Graco Fastaction Fold Click Connect Travel System. Make sure that you view the link underneath for the most reduced price it’s actually been.